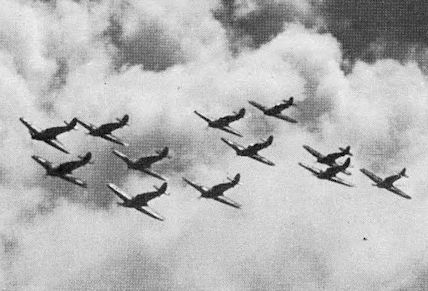 A Hurricane squadron flying in tight vics. 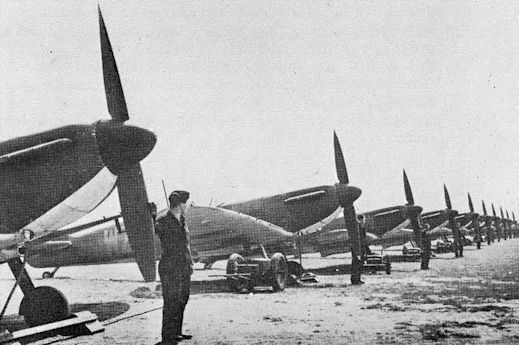 Following the Hurricane into RAF service, the Spitfire I with early two-blade airscrew is seen here with No 19 Sqdn in 1938. 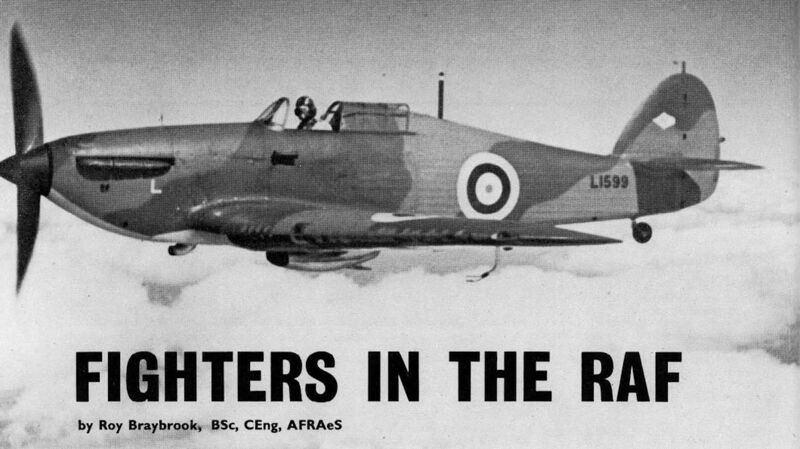 The clipped-wing Spitfire VB (AA937 of the Air Fighting Development unit illustrated) figured largely in 1941/2 "rhubarbs”. Defiant с турелью поначалу считался удачным, однако летчики Люфтваффе быстро научились пользоваться отсутствием стреляющих вперед пулеметов у британского истребителя и атаковали его спереди. A failure in the day fighter role, the Boulton Paul Defiant was switched to night interception with indifferent success, a Mk II night fighter of No 151 Sqdn being illustrated. Whirlwind (P6969) of No 263 Sqdn, Winter 1941-2. The Mosquito NF II (DD609 illustrated) with "arrowhead” AI Mk 4 radar which joined the RAF night fighting component in 1942.